When Apple unveiled the magical Siri, even Android users drooled over the feature. Though many derided the robotic assistant as just another gimmick, its human-like intuitive voice brought a new edge to the popular mobile platform. Furthermore, thanks to its witty, and sometimes snarky responses, the ever so charming Siri has also become an Internet sensation. 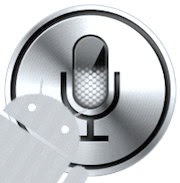 Quite expectedly, no sooner was Siri released than the Android market was inundated with Siri clones and alternatives. Even though most of them can’t match the Apple’s speaking robot, they are not that bad either. So, if you’re itching to try out some Siri-esque voice control on your Droid, then read on as we cover the best Siri alternatives for Android. Created in just 8 hours, Iris is a powerful Siri alternative for Android. 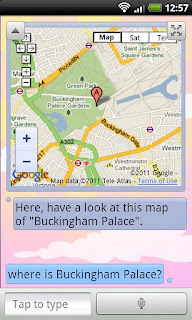 The free application comes with a simple, no-fuss interface that draws from the Ice Cream Sandwich UI. Just tap on the button to speak, and Iris will speak out your results instantly. To start off, you can ask questions like “When was Steve Jobs born?” or “What is the weather like in Honolulu”; if you speak clearly enough, Iris will find the right answer for you. Iris, which stands for Siri in reverse, has been downloaded over 500K times so far and is freely available to download from the marketplace. Since the app is in testing phase, many users have complained about major bugs and issues. Nonetheless, Cluzee is still a promising app that might give Siri a tough time someday. 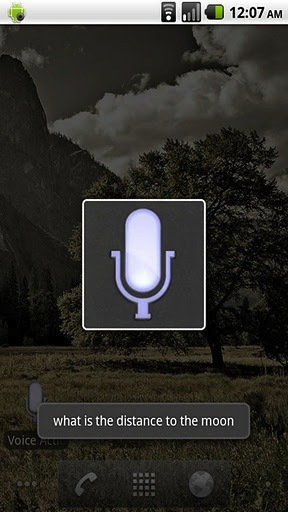 Jeannie is a simple-yet-powerful voice control app for Android. Though not nearly as witty as Siri, Jeannie does come with some impressive features. Once installed, you can search the web, send text messages, dial phone numbers, and even set alarm clocks by simply using your voice. You can ask for simple requests like “Call Barack Obama” or you can make Jeannie update your Twitter and Facebook status. Like the aforementioned Iris and Cluzee, Jeannie too is a work in progress. That said, the app looked pretty stable when I used it. Vlingo is rated 4.3 stars out of 5 in the Marketplace, and is worth a download even if you’re not looking for a Siri alternative. 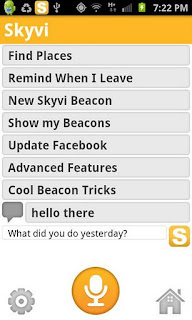 Another new app entering the list is Skyvi. 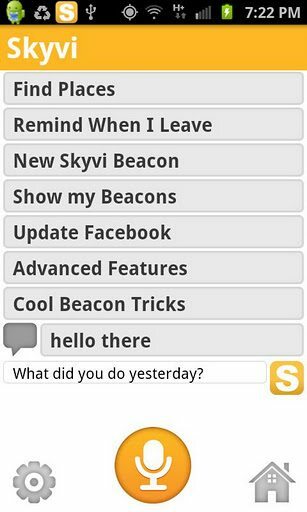 Free for a limited time, Skyvi is an app specially designed to help you get rid of your Siri-jealousy. Like Siri, you can ask Skyvi questions like “When is Britney Spears’s birthday?” or “How many calories in a bagel?” The app then looks up information from various web resources like Twitter, Facebook, Wolfram Alpha and delivers the results. What’s more, you can also ask the app to read out your Facebook and Twitter timelines for you. Definitely worth a try if you want a close Siri-esque experience on your Droid. For all those folks who’ve been dying to have a diligent assistant at their disposal, this next app might be of some use. Speaktoit Assistant is a free Android application that serves as your talking buddy. Using natural language input to find answers to your questions, the nifty little application is pretty accurate despite being in beta. Speaktoit also integrates with web services like Twitter, Evernote, Foursquare, Facebook and Google to provide accurate results. I’ve tried it a while on my phone and it is pretty accurate, except for a few bugs here and there. Recent addition is Zahdoo. It is a hybrid app unlike just voice only apps and more focused on personal productivity.